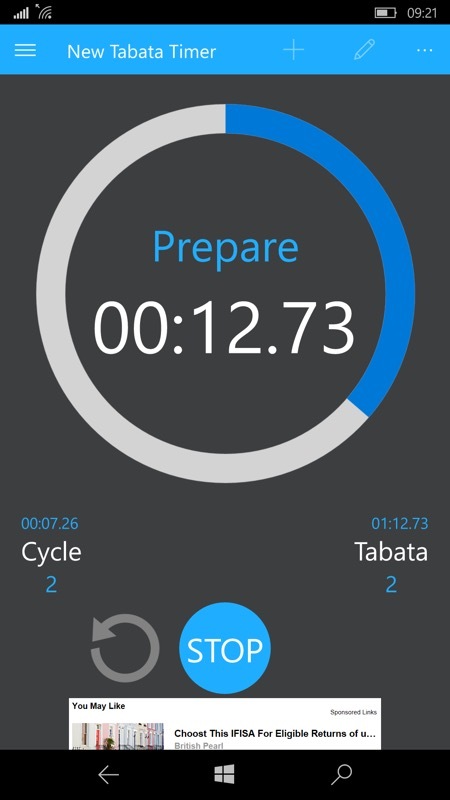 Fit Timer gives you multiple timers for all your workouts including a stop watch, countdown timer, HIIT timer and Tabata timer. 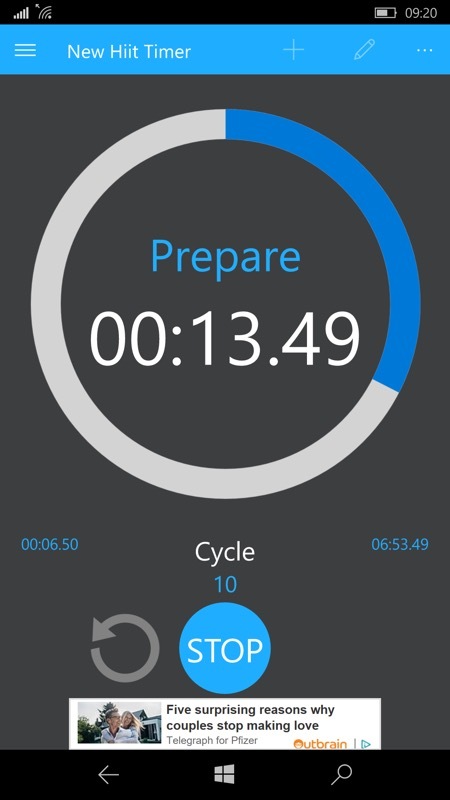 Stop Watch - Easy to use stop watch, recording lap and split times. Countdown Timer - Basic countdown timer with the ability to save and load multiple countdown timers for quick access. 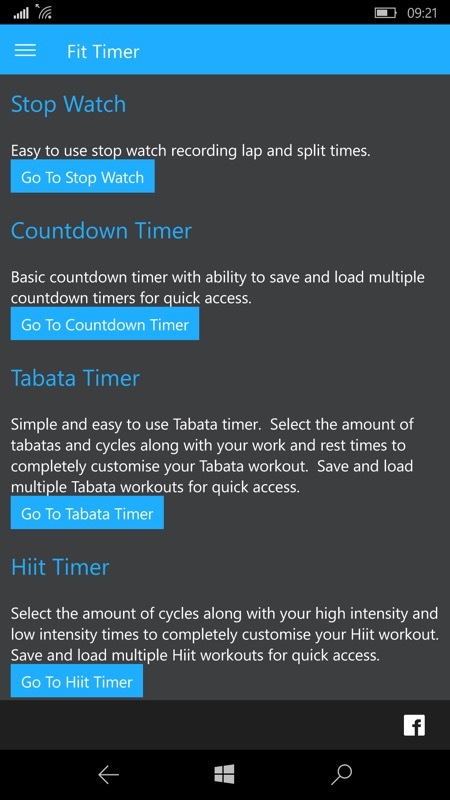 Tabata Timer - Simple and easy to use tabata timer. 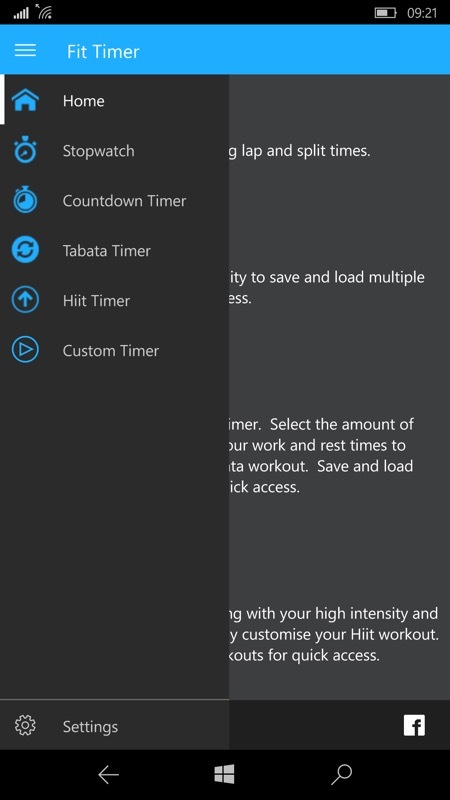 Select the amount of tabatas and cycles along with your work and rest times to completely customise your tabata workout. Save and load multiple tabata workouts for quick access. Hiit Timer - Classic Hiit timer selecting as many cycles as you want for high intensity and low intensity. Custom Timer - Create and structure your own countdown timer however you want. 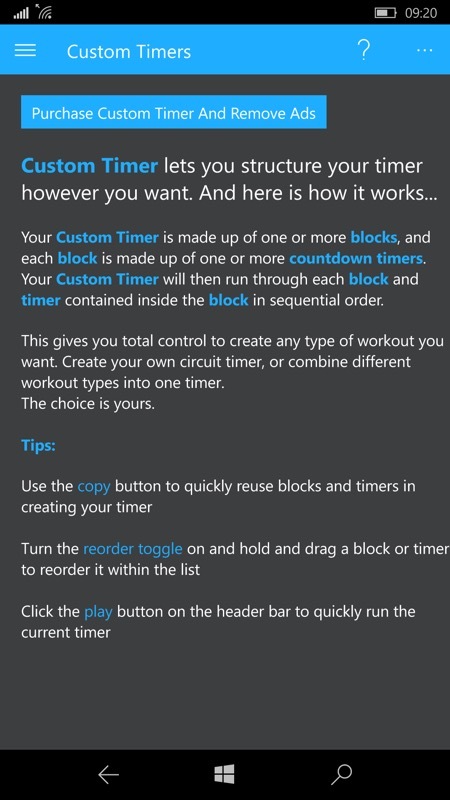 Tha main four timers available, plus a 'custom' one if you've paid the in-app-purchase (which also gets rid of ads). 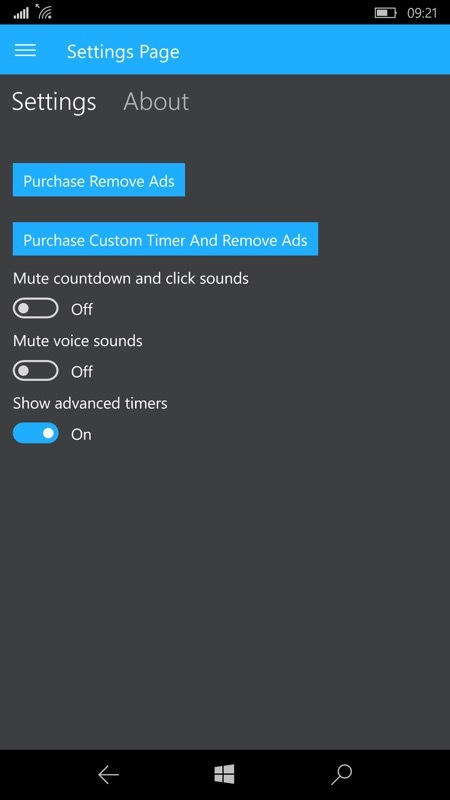 You cab grab Fit Timer UWP here in the Store, with a small IAP to remove ads and enable the custom timing mode. I did have some issues with the utility closing down, presumably due to lack of RAM, so I think the developer would do well to work on stability for the next update.